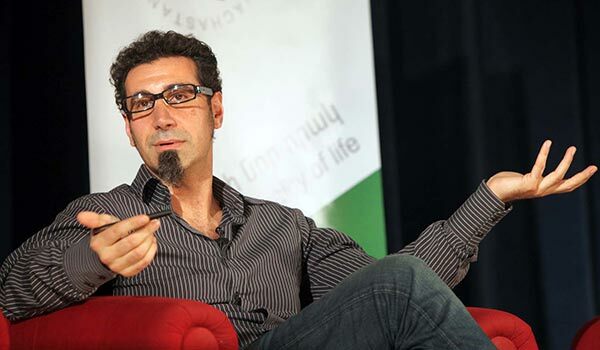 American-Armenian musician, lead vocalist of the System of a Down rock band Serj Tankian has sent a letter to Armenian President Serzh Sargsyan in connection with the February 18 presidential election, in which he congratulates the incumbent on his formal reelection, but also casts doubts about the fairness of the vote. In the letter Tankian, in fact, supports the claims by opposition leader Raffi Hovannisian, who was the main challenger of Sargsyan in the ballot, and now is disputing his election victory. The musician known as a staunch civil rights activist also effectively backs Hovannisian’s demands for punishment of vote riggers, dissolution of the National Assembly and holding of new genuinely free and fair elections as a compromise to end the post-election crisis in Armenia – something that has reportedly been rejected by Sargsyan. “Victory means getting the most votes, of course, in a democracy. Based on the overwhelming reported fraud from many NGOs, irrespective of the OSCE report, it seems like it would be scientifically impossible for even you, Mr. President, to know whether you actually won the majority of votes. That’s quite funny isn’t it? That you, the President of Armenia are not really sure, deep inside, whether you are the true chosen leader of your people or not,” wrote Tankian in an open letter. “Whatever the case, it is time for change. Whether you’ve won fairly or not, somehow you are now President, again. What does that mean to you? Thank you for your time”.